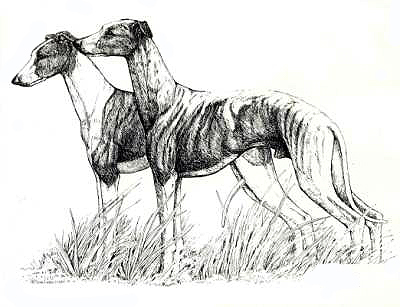 Home > Hound Group > Whippet "Pair"
This is a Limited Edition Print advertised as SOLD OUT several years ago. The Studio has decided to offer up their private collection of 10 prints remaining prints that have been in storage. Sale of these few remaining Prints are subject to availability. This was a very popular print in a small Edition and would enhance your art collection.